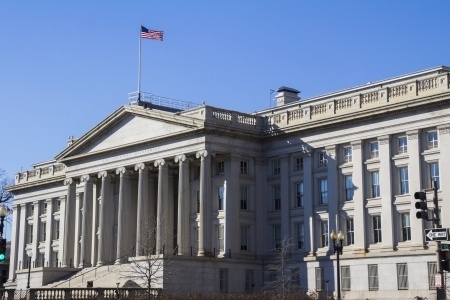 Antonio Weiss, Counselor to the Secretary of the US Treasury, recently spoke at the Information Management Network Conference on Marketplace Lenders. In his prepared remarks, Mr. Weiss discussed the comments Treasury had received in response to its Request for Information about marketplace lenders. Mr. Weiss highlighted a number of themes about alternative small business finance that he believed had emerged from the responses. First, Mr. Weiss stated that alternative small business lenders have the potential to increase lending to a historically underserved market. Structural challenges in the small business lending market often make it difficult for business owners to obtain affordable credit. While larger businesses typically rely on banks for 30 percent of their financing, small businesses receive fully 90 percent of financing from banks. However, small business lending has high fixed costs for banks– it costs about the same to underwrite a $5 million dollar loan as a $200,000 loan. And we know that many small business owners are unable to access the credit they need to grow their businesses. Marketplace lending has the potential to unlock access to the capital markets for these borrowers. Second, he stated that many responses to the RFI had cautioned that the new underwriting models used by market entrants were still untested. Mr. Weiss stated that many commenters had “noted that new underwriting models have yet to be tested through a full credit cycle” and therefore it was too soon to tell if these alternatives were better than traditional models at predicting future performance. Third, Mr. Weiss noted that many commenters had argued that protections provided to consumers should be extended to small business borrowers. “[M]any commenters highlighted the need to establish a level playing field. All borrowers—businesses as well as consumers—should have the same protections. Small businesses are run by people. Those people receive protection as individual consumers, but when they are called ‘small businesses’ they get no protection,” he stated. Mr. Weiss also highlighted calls for increased disclosure requirements. “…[C]ommenters almost universally agreed on the need for, and benefits of, greater transparency. To my mind, this means clear, simple terms that borrowers and investors can understand. For small businesses, transparency requires standardized all-in pricing metrics, so that a business understands a loan’s true cost and can make like-to-like comparisons across different loan products,” he stated. In closing, Mr. Weiss noted that while Treasury will continue to monitor developments in the marketplace it is not a regulator in the space. Instead, Mr. Weiss stated that Treasury would work to inform those state and federal agencies that do have regulatory authority about developments in the market so that they could take any necessary actions.